From the unearthed 135-year-old Juan Luna Spoliarium boceto in Europe to the Manila city government’s Arroceros Forest Park demolition plans, 2018 has no doubt become an eventful if not intense year. Stories on cultural and environmental protection rarely left the spotlight—which is a good thing for this proves that such issues of society now resonates highly among the public. There was also a fair share of high interest on matters involving the highly urbanized areas of Metro Manila. So before we cap 2018 off in less than a week, it is only best to look back at the year’s highlights. The telegram from Aguinaldo summoning Luna to go to Cabanatuan. The order was written in Spanish. Photo courtesy of Leon Gallery. 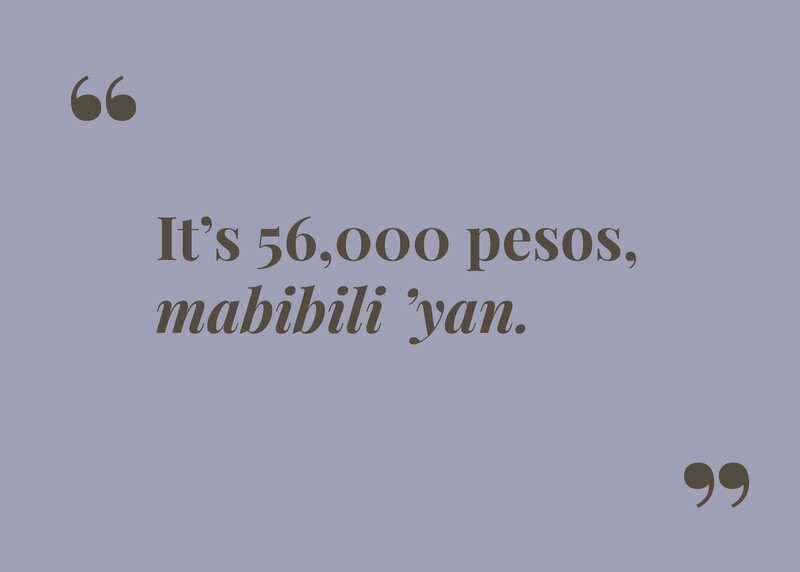 The interest in the lives of Filipino heroes have increased over the years, mainly because of the spotlight from recently released historical films and books that gained much traction. This is why it’s no surprise when an alleged telegram from former president Emilio Aguinaldo summoning General Antonio Luna to an urgent meeting emerged in a Leon Gallery auction in November 2018. 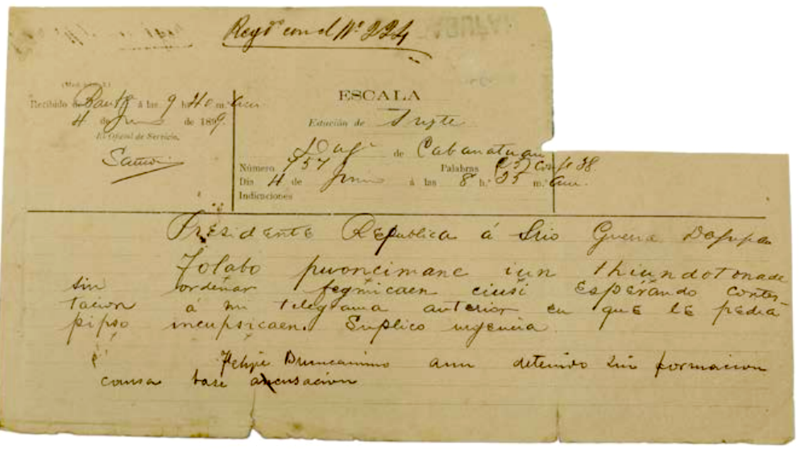 The document was dated June 4, 1899–the day before Luna faced his death. Historians have been looking for this telegram for more than a century as it has long been recognized as the “proof” that Aguinaldo was behind the death of Luna. 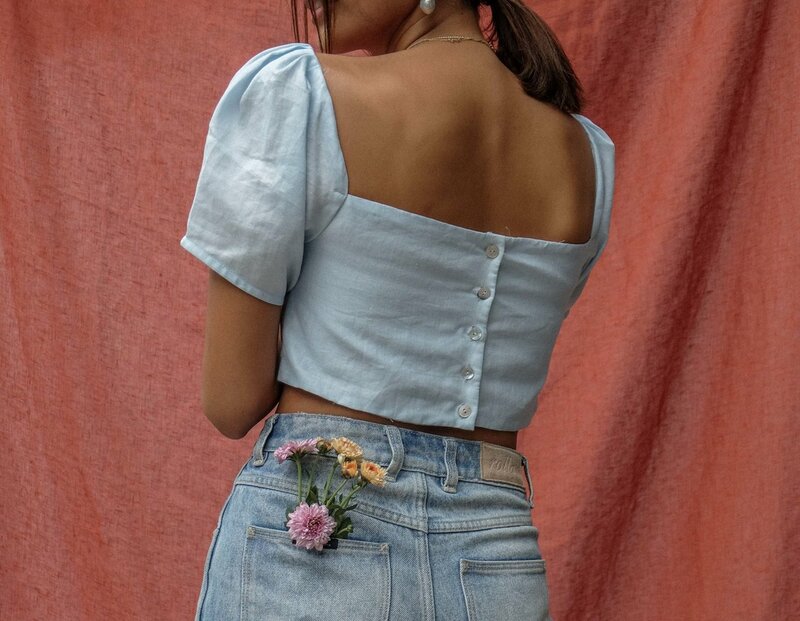 Lazy Fare sells clothes made with scrap fabric from warehouses. Photo courtesy of @retromoonz on Twitter. 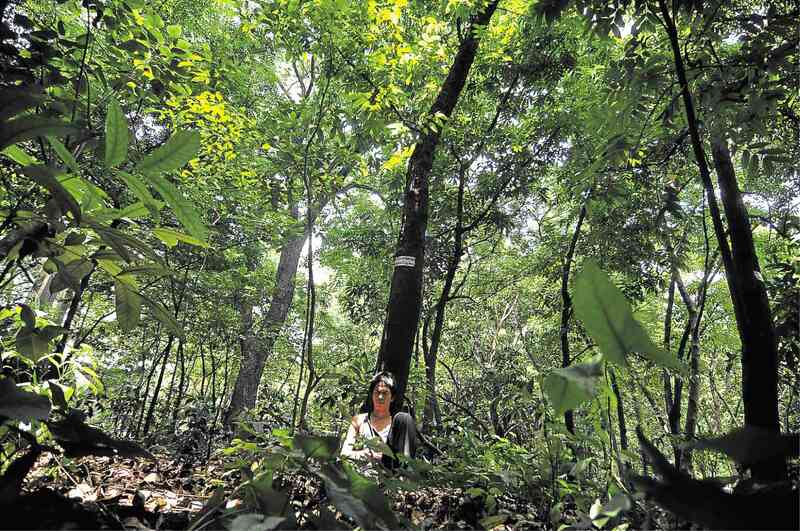 The local government of Manila revealed last June plans of transforming the Arroceros Forest Park into a commercial space, as if Metro Manila is not suffocated enough with the congested commercial areas and lack of greenery. Environmental advocates were not the only ones appalled. Citizens, voicing out from the story’s comment section, were infuriated by this move as it will take away what is known as Manila’s “last lung” with the impending destruction of the home of 8,000 ornamental plants and 61 tree varieties. The move, as reported, will also tarnish the historical and archaeological value of the park. It seems like auctions involving a Luna have largely been part of 2018’s most controversial issues (in the culture and arts field, that is). 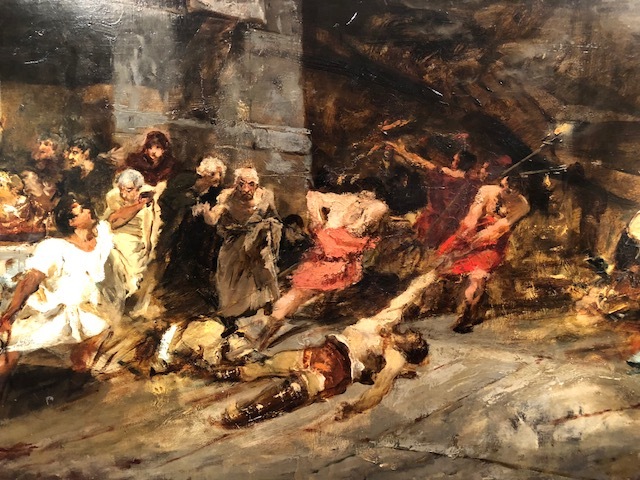 In this news story, an alleged “prelude or study” of Juan Luna’s award-winning 7 by 4-meter “Spoliarium” was discovered to be owned by a millennial owner in Europe who is uninterested in keeping the historical painting. He tapped Ramon “Richie” Lerma, director of Salcedo Auctions, to examine the intriguing piece which happened to have an inscription that says “SPOLIARIVM = boceto” and “LVNA = 1883.” It was made in an “an unhesitating manner, in flowing penmanship,” Lerma said. The boceto also carried more characteristics that link the painting to Luna, which made the local visual arts scene hardly leave the public’s eye last September. Don Pedro Street on a quiet night is still flooded by bright lights. On weekend nights, it is the heart of Poblacion’s thriving nightlife. 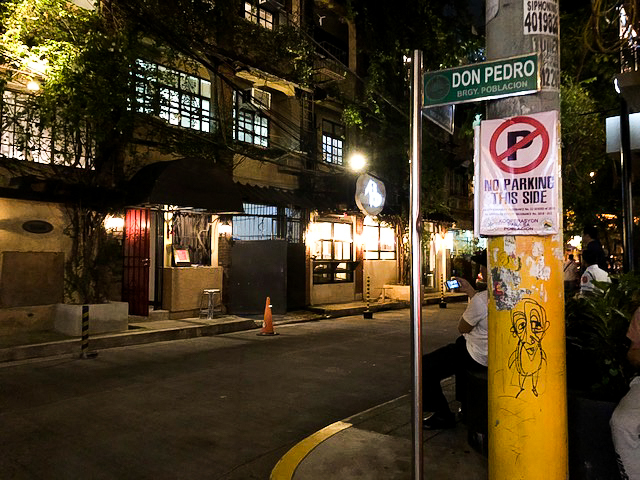 Last August, we visited Barangay Poblacion in Makati City not for the usual plans of covering a bar or a restaurant opening but to look at the bigger and more important issue at hand—the effect of its gentrification to the residents. It’s no secret that for the past years, Poblacion has become the favorite hotbed for nighttime fun. Behind such acclaim, however, are residents who are suffering from sound system and party noise, parking woes (along with honking cars that only add to the noise), the lack of peace and order, and the rising real estate taxes which force some locals to sell. 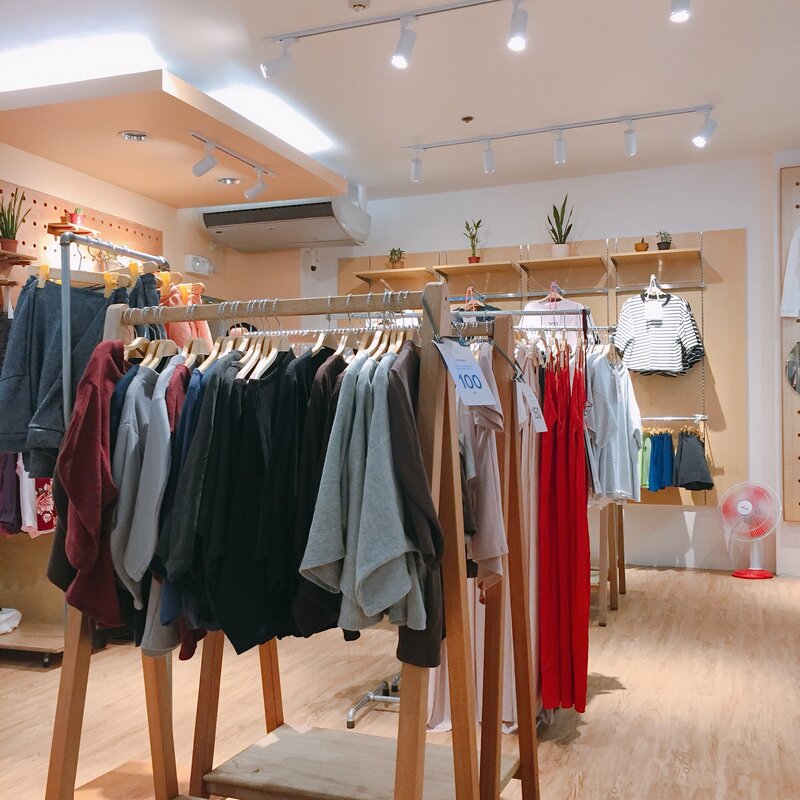 A new one-stop self-service sustainable shopping place for healthy foods opened last August in Mandaluyong and it’s what we need now more than ever. Our environment has long been suffering from our single-use plastic usage. We can’t fully avoid it either as most of our every day essentials sold in grocery stores are wrapped in plastic. 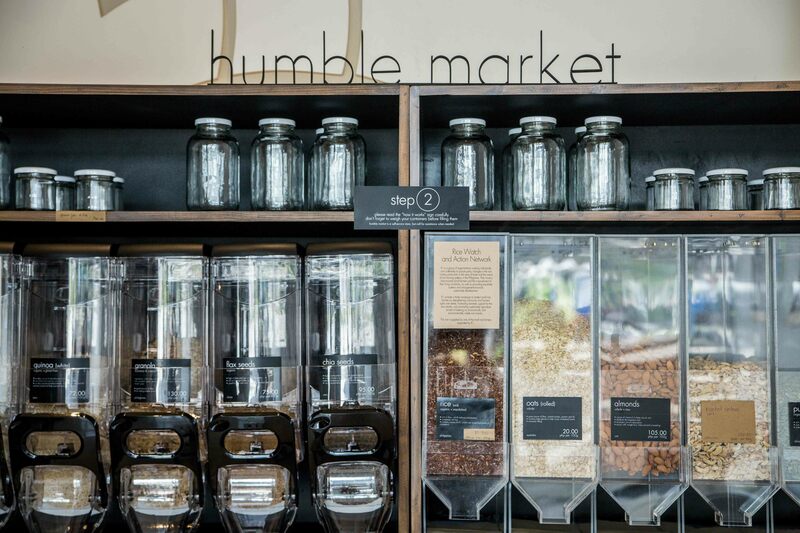 This is why people were delighted when Humble Market introduced its sustainable way of shopping which includes encouraging customers to bring their container and fill it with the amount they only need. Instructions in using each filler as well as information cards about each product are available around the store, making shopping much easier. The production of “ecobricks” is one of the major environmental breakthroughs of 2018. Although the project has been introduced in the Philippines by The Plastic Solution two years ago, it was only this year when more and more people started actively engaging in this campaign. 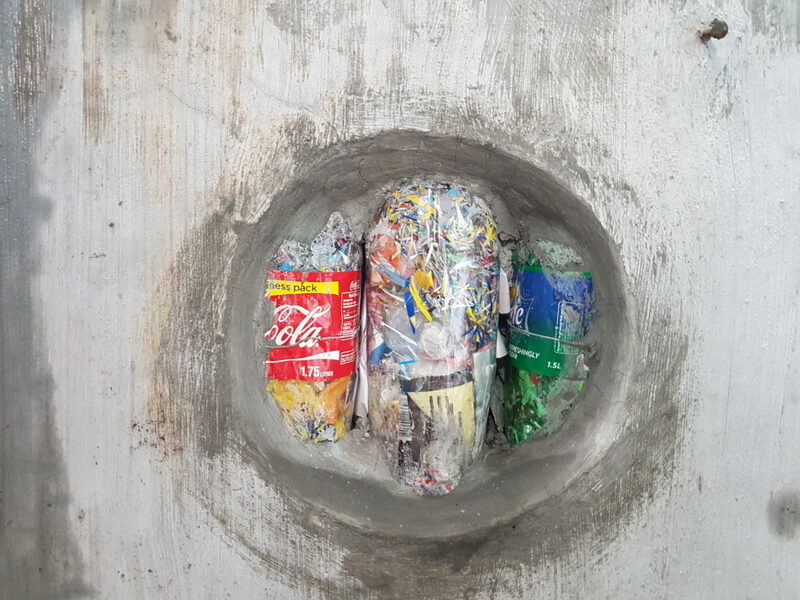 Making “ecobricks” involves the process of cutting down single-use plastic and wrappers and fitting them in a bottle. When packed, these “bricks” will be used as alternative fillers in constructing walls. The problem here, however, was that if the “ecobricks” are not packed to their “absolute limit,” they won’t be usable. “A brick’s hollowness may affect the structural integrity of the build,” The Plastic Solution said. So to address this, we compiled the guidelines as well as “ecobrick” drop-off points in our story. The day before we commemorated the 120th anniversary of the Proclamation of the Philippine Independence, a young local label called “Araw” launched a line of terno-inspired tops and dresses. This label is manned by Carla Sison who also manages the Tropa Store in Legaspi Village, Makati City. The pieces, which Sison calls “Filipinana pang araw-araw” are composed of familiar Filipiniana elements. “[It’s] complete with butterfly sleeves and Maria Clara cuts, using linen as an alternate of piña and jusi,” Sison said. 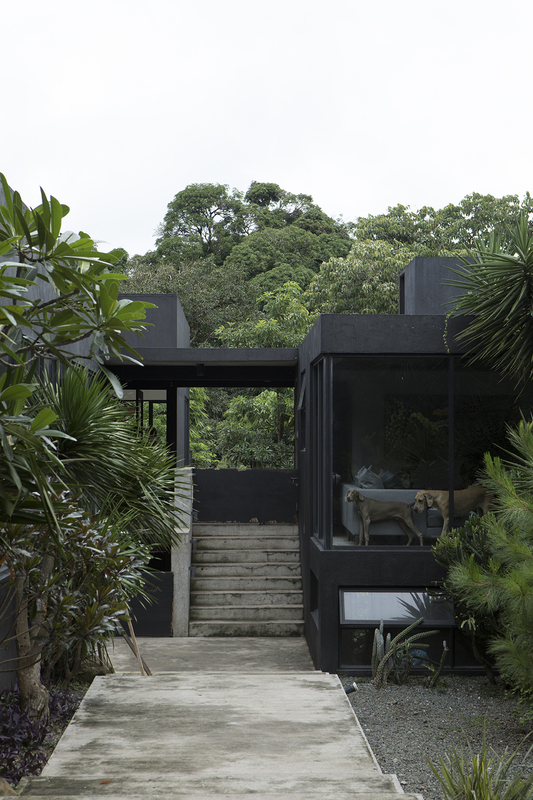 Two of the Buensuceso’s 25 dogs in Tagaytay guard the glass walls of their black home. Photo by Miguel Nacianceno. The home of sculptor Jinggoy Buensuceso, his wife, and their two children is not only in pitch black, it also happens to be situated along the terrain of Tagaytay covered in lush greenery that almost swallows the residence’s 1000-sqm. lot. The house is “like a giant block of stone [where] plants started to grow” according to Jinggoy. Its simple architecture enlivened by the rich green foliage is inspired by their old home located beside the Singapore Botanic Gardens. What makes the Buensuceso home even more interesting is that it is also filled by 25 dogs composed of Great Danes and Chihuahuas along with a large number of cats, civets, piglets, bunnies, and a rescued owl. Take a visual tour of the home through our story. Last August, we were able to witness the overwhelming number of local and handmade products on sale in ArteFino which would make any lover of artisan crafts go wild. There were natural tie-dye “sneakers,” hand-painted table napkins, and bayong made with traditional Filipino textiles. This is why we weren’t surprised anymore when fairgoers (mostly the crazy rich) blurted interesting and funny quotes on the items on sale. We listed in our story their takes on the quality, design, and even inspiration of each item.